Reflexology is an incredibly relaxing treatment whereby the whole body can be treated by massaging zones on the feet that relate to other parts of the body. Always wanted to try reflexology? Now’s the time! Experience the deep relaxation provided by this lovely treatment. Clients often doze off during treatment, which is not a problem, I’ll just wake you gently at the end! 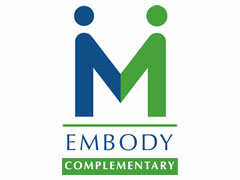 A balancing and regulating treatment which can help all body systems to achieve homeostasis. The client is made comfortable lying on the treatment couch. A blanket helps you feel warm and cosy. The Reflexologist cleans the feet then warms the feet up with various massage techniques before the actual treatment. She will examine the feet for any irregularities, hard skin or other visible problem areas which may tell her something about the health of the client. During the treatment she will work with thumbs and fingers over the whole surface of the foot, working away any ‘crunchy’ areas, and noting the texture and condition of the zones of the feet that correspond with the organs and many parts of the body. Clients are also asked to give feedback on any sensitive or painful areas. The treatment ends with a relaxing massage over the whole of the feet and ankles. Whether or not you believe reflexology can treat the whole system through the feet, I am sure you will be pleasantly surprised by the results. It is often the case that the recipient is aware of sensations in other parts of the body as the relevant zone on the foot is being worked. Feet feel lighter, and more relaxed with tensions eased. Clients leave happy in the knowledge that they are doing something to counteract stress and taking some important me time. Reflexology, which has its roots in ancient Egypt, works on the principle that every organ and system of the body has a corresponding point or zone in the feet. For example, the spot in the centre of the big toe corresponds to the pituitary gland, and on the ball of the foot underneath the big toe there is a point that corresponds to the thyroid and parathyroid glands. A reflexologist uses light pressure to massage each of the points in the toes, feet and ankles to release tension, remove energy blockages, disperse accumulations of calcium and uric acid, stimulate blood circulation and promote healing of both body and mind. 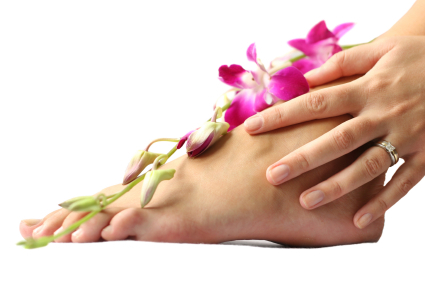 The reflexologist will begin by taking details of the client’s medical history and lifestyle. The client will be asked to remove only their footwear. The client, fully clothed apart from their feet, will lie on a massage couch whilst the practitioner works on their feet and ankles. Reflexology can be used to treat a wide range of disorders including skin and respiratory conditions, migraine, IBS, PMS and menopausal problems, chronic fatigue, stress, depression and anxiety. Reflexology can be used both to help with conditions such as, for example, migraines, IBS, menstrual problems or insomnia for which the client is seeking immediate treatment; or it can be used to keep the body’s energy flowing and t in balance and the mind calm and relaxed. Reflexology should be avoided during the fist three months of pregnancy. As part of the balancing process, some clients find that reflexology encourages the elimination of toxins from the body. Therefore, as this could interfere with any medication you are taking, it is very important to inform the practitioner of any medicinal treatment you are receiving. Also, be sure to tell the Reflexologist if you have a pacemaker, kidney stones or gallstones. If you have a health problem such as high blood pressure, thyroid disease or diabetes; or you have a foot injury, phlebitis, thrombosis or blood clots, have a chat with your doctor before booking a reflexology session. Some clients report that, immediately after a reflexology treatment, they feel very relaxed and sleepy and just want to go home and lie down. My feet feel amazingly light and relaxed now, all the heat and tension’s gone and I feel sleepy but refreshed. That was lovely, I dozed off in the middle which is unlike me to relax so much. It was interesting that the areas you found on my feet correspond to my health problems. I’ll be back for more! Very relaxing , and not ticklish as I expected! It was really lovely, and I really enjoyed it, I’ll book in again! • information on how to book their treatment slot. Just click 'This is a gift' at checkout, add your recipient's details and we will take care of the rest. Look After yourself and feel great! Copyright 2017 All Rights Reserved - Time Out Therapies, Exeter.